As is our tradition for the past six United States Hunter Jumper Association Annual Meetings, Ginny, Jo-Ann and I manage to steal a few extra days from our busy schedules for a girls’ weekend prior to the start of the hard work. With this year’s meeting in New Orléans, we didn’t have to really prepare an itinerary for our adventures—the city is really one big party and the choices are endless. 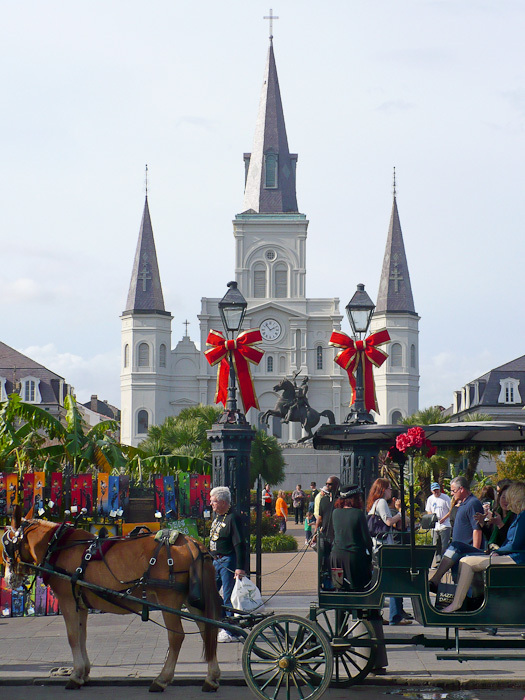 I’d like to say that the eight hours or so we walked around downtown New Orléans today, from the French Quarter to the Markets to the Warehouse District to the Riverfront and beyond, burned off a few calories. That wasn’t the case, however. 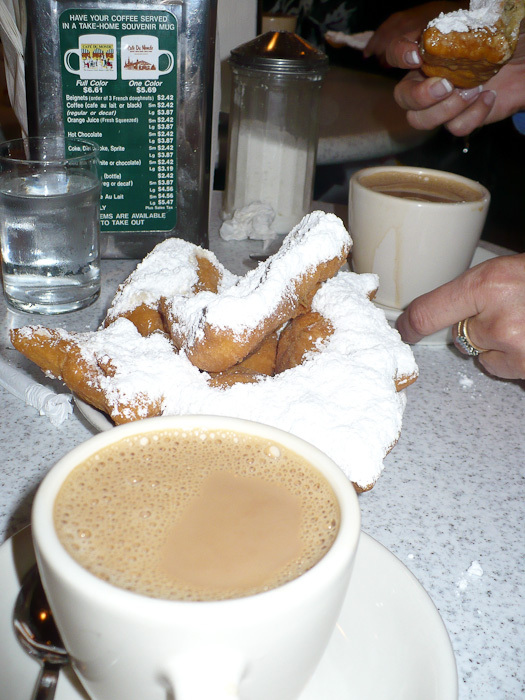 Instead of bar-hopping our way around the town as many people do, we went meal-hopping, taking in a patio brunch at Sylvain, an early afternoon coffee break at Cafe du Monde and then dinner at Three Muses, where the food was outstanding and the live music even better. Ginny and Jo-Ann had never been to New Orléans, so we made sure to cover a lot of territory. And in between our caloric fill-ups, we did what we do best when the three of us are together: we shopped! What a great tradition–to make special times with friends each year. 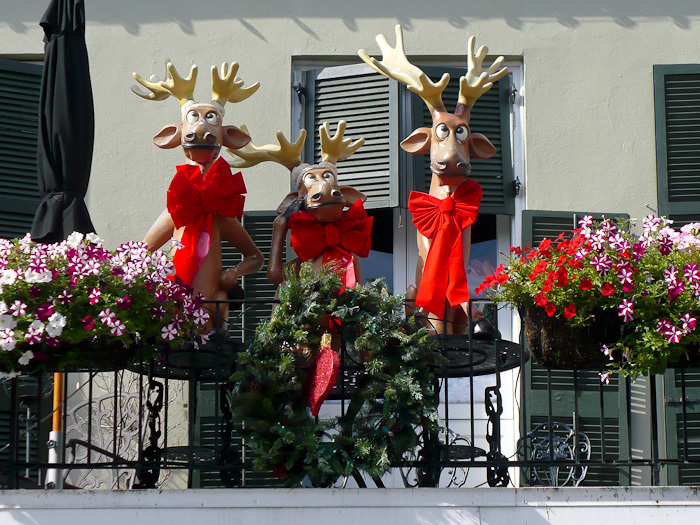 I was in New Orleans just once and loved it–thanks for the photos. You’re welcome! Yes, it seems hard in this day and age to take time out for friends when everyone is so busy. Thankfully, we’re able to get together each year. It’s funny, we all live within an hour of one another but never seem to have the time to meet up except in far away cities.